Chinese B2B e-commerce giant Alibaba plans to help Chinese small and medium enterprises gain CNY6 billion in loans from banks in 2009 to help them overcome the impact of the global financial crisis. According to reports in local Hong Kong media, in 2008, Alibaba helped nearly 600 SMEs gain CNY1.04 billion unsecured low-interest loans from banks. This year, with the support of eight Chinese domestic banks, Alibaba will help these SMEs to gain over CNY6 billion in loans. The plan mainly targets the registered members of Alibaba and the covered areas of this plan will be enlarged to such provinces and cities as Guangdong, Jiangsu, Shandong and Shanghai. 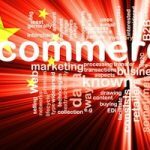 The plan has reportedly been officially confirmed by John Spelich, Alibaba Group's vice president for international corporate affairs . The eight banks participating in Alibaba's loan support plan include China Construction Bank; Industrial and Commercial Bank of China; Bank of China; Agricultural Bank of China; Shanghai Pudong Development Bank; China Commercial Bank; Postal Savings Bank of China; and China City Commercial Bank. Started by Alibaba and the Industrial and Commercial Bank of China in June 2007, the loan support plan offers financing services to Alibaba's SME members with a certain credit level. Taking the online credit and trading volume statistics from Alibaba's Taobao.com and Alipay.com as references, the Industrial and Commercial Bank of China has provided credit ratings to these SMEs and launched various financing products based on those metrics.